Stripe nails! I actually got like 90% of the way through a completely different design for this theme before I realized it was failing and not turning out even remotely similar to what I had envisioned. So I scrapped that and just started improvising. This is what I ended up with! The colors I've used here are all Lime Crime polishes. I had been seeing swatch after swatch of these and just couldn't resist their bright pastel shades. The polish really doesn't disappoint in person -- they are bright and opaque, with a really surprisingly nice formula. Unfortunately, with all of the colors in this photo, some of them suffered color-balance-wise. The pink color in particular is pretty off, it's much brighter in person. The specific color names are Parfait Day, Peaches and Cream, Crema de Limon, Pastelchio, Once In a Blue Mousse, & Lavendairy. The black is OPI Black Onyx. The technique here is not too complicated. I painted the rainbow stripes on my bare nail first, not worrying about where the lines ended on the sides (since I knew they would be covered). Then, I topcoated with Seche Vite to make them dry quickly. Once they were dry, I put a stripe of scotch tape down the middle of my nail. I painted the black over the whole nail, covering the tape. After removing the tape slowly and carefully, this design remained! Some of my tape lines did need a little bit of correcting with a striper brush (removing flaws with acetone, or straightening lines with more black polish). However, if you are not a perfectionist, you could probably get away with just stopping after the tape removal and not correcting at all. Anyway, not too shabby for a plan B! I still wish my first idea had panned out, but I'm totally enjoying these nails, too. 31 Day Challenge prompts are here, and last year's stripe nails are here (also a tape manicure!). This looks amazing :) I have to try that one Day. 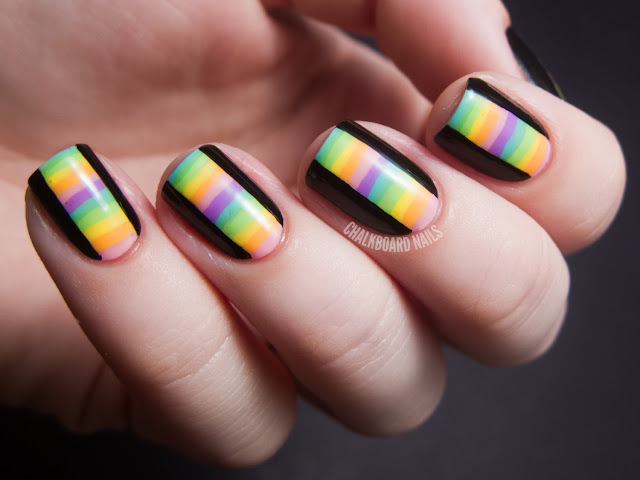 These are some of my favorite nails I have seen in a while. You are SO flippin talented. I couldn't do those thin stripes in a million years. Keep on doing your thing, girl, cause you got it! Oh, I love your plan B!! Very nice! Very cool- some of the best ideas come when you just wing it! 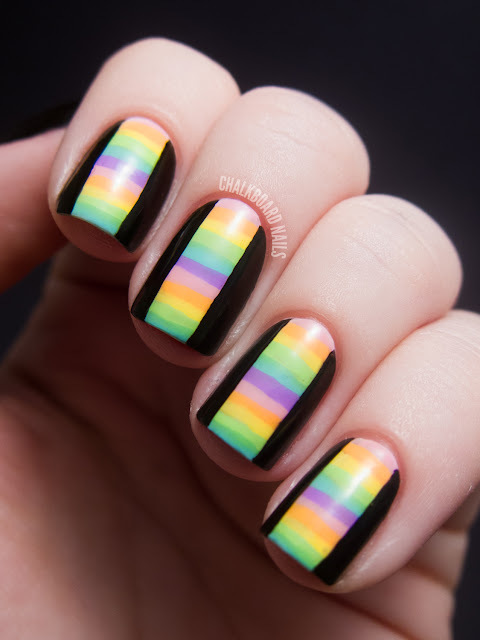 I lurrrve these, the combo of those awesome bright pastels with the black is striking. Lovely colors, This manicure is really impressive!! We are following you. 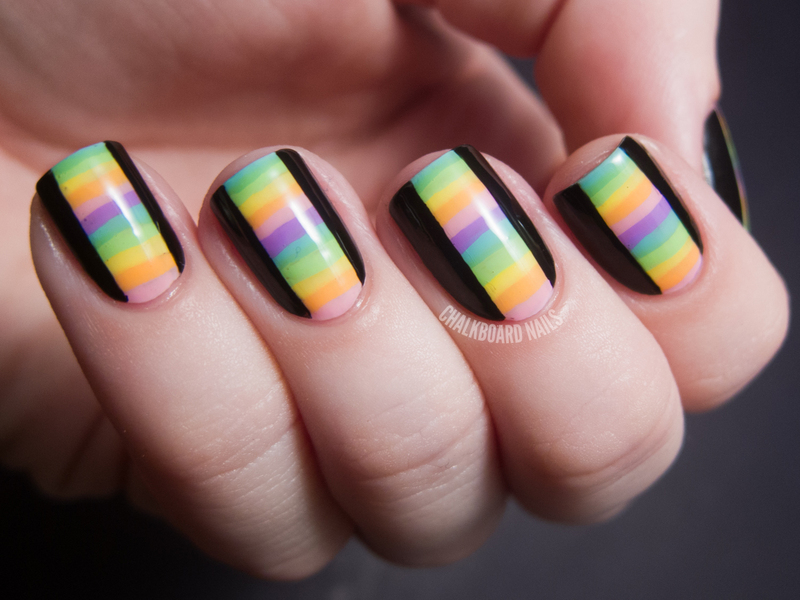 I looooove this mani! More than perfect for a plan B lol! I was thinking about buying these polishes for a while too! This is so cool!! I love the colours! this is so beautiful!!!!!! good job! I can't express how much I love this! It's so awesome! This is amazing- so much fun to look at! And I imagined it was really hard to do, but the way you described (using scotch tape to make clean lines) makes this slightly less daunting to attempt. Stunning. I completely love these and I am dying for the Lime Crime polishes!!! Girl is there anything that you do that's ugly? This is perfect, always beautiful nails. These are seriously gorgeous, the balance of warm pastels with the black really catches the eye! These are awesome!! I really love how they turned out. Fantastic job! Lol. When I first saw these I thought they were supposed to be Smarties candies. So cute! Wow, this is so gorgeous!! What the Heck! These are soooooo freakin AWESOME! OMG I'm gonna die. As everyone has already said, these colors are amazing! I know it sounds so dumb, but I never think to do horizontal stripes beyond just the tips. This is great and I am really impressed by how many stripes you managed to get on there! I just keep coming back to these...so amazing! 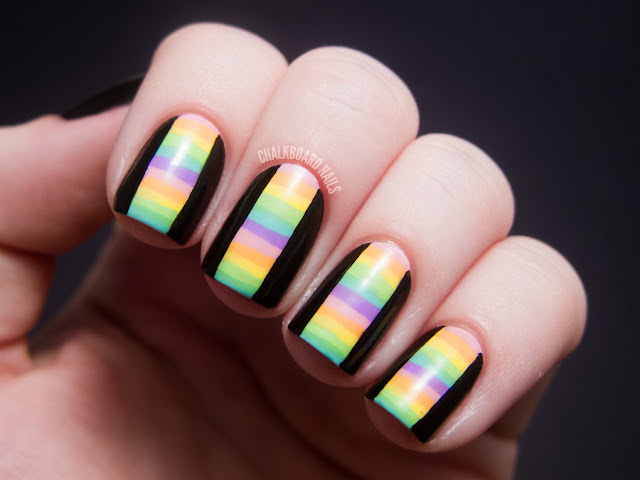 Maybe you should use Scotch Magic Removable tape so that it doesn't strip your colour off your nails. 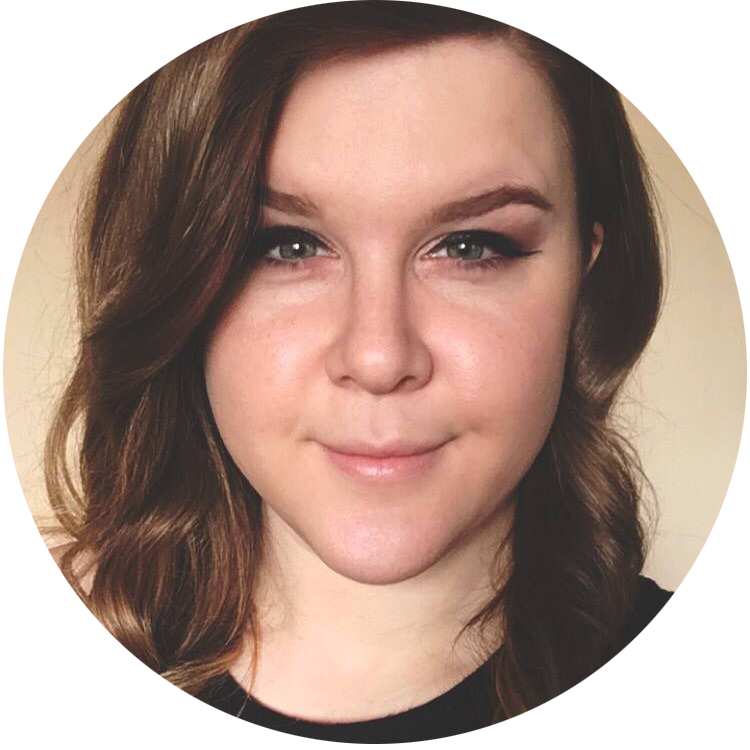 Love the look though and if you teamed it up with eyeshadow done in stripes it would be a really unique look. My tape didn't strip the color off my nails because I did it when they were dry.